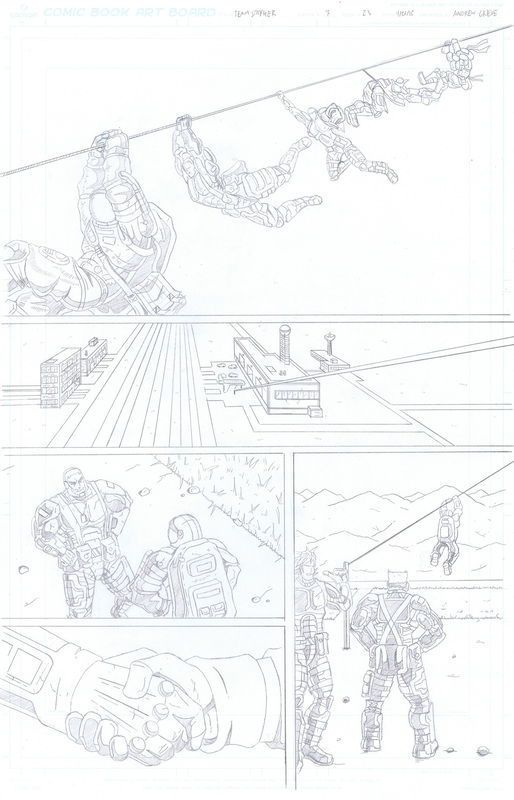 The last update for Team Stryker Mission 007 is here! It’s been an amazing journey for Mission 007 and now I’m very excited to take Team Stryker in a whole new direction. You can expect a very different (but equally awesome) tone in Mission 008. I’ve scripted the issue and have the first 3 pages drawn. Hopefully it won’t be more than a month before it debuts. I’ll have some fan art and other surprises along the way. Thank you to everyone that’s followed Team Stryker for the last seven issues. I hope you’re enjoying it as much as I enjoy making it!